How To Add Happy New Year widget In Your Blog & website ? First All Friends I Wish You Very Very Happy New Year 2017. This Post we Larn How we can add Happy New Year 2017 widget In Our Blog & website? It is Very Easy & Interesting.Your Site Looking Cool & Nice After Adding This widget & visitors Also Like This Type Widget. 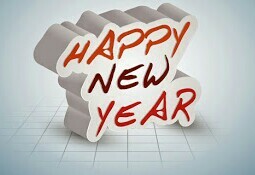 Its Short way to wishing Happy New Year to All Your Visitors. So Friends Follow This Post..
How To Add Happy New Year 2017 widget In Your Blog or website? Step 2: Now Go to Your Blog> Layout>Add widget>Html Java Script>Add Code & Click Save. 0 Response to "How To Add Happy New Year widget In Your Blog & website ?"